Previously we have covered the different types of Revelation and how that can impact on an individuals morality. This lesson we will be looking at how tradition and practices in a religion can impact on an individual. Practices in the earlier church have over time established themselves as tradition. Sometimes a group of Christians will disagree about a teaching or a practice and will break away from the church – this leads to different denominations (Branches of Christianity. E.g. Roman Catholics, Church of Scotland Protestants, etc.) Tradition itself is very closely tied to the different denominations. For example, the Roman Catholic Church only allows male Popes and church leaders. This is because all the disciples were male and the first bishop of Rome, Peter, whom Jesus gave the keys to heaven to, was male. The line from Peter to the present Pope, is known as the apostolic line and for nearly 2,000 years it has always been male. The tradition in the Roman Catholic Church states that only males can be church leaders. 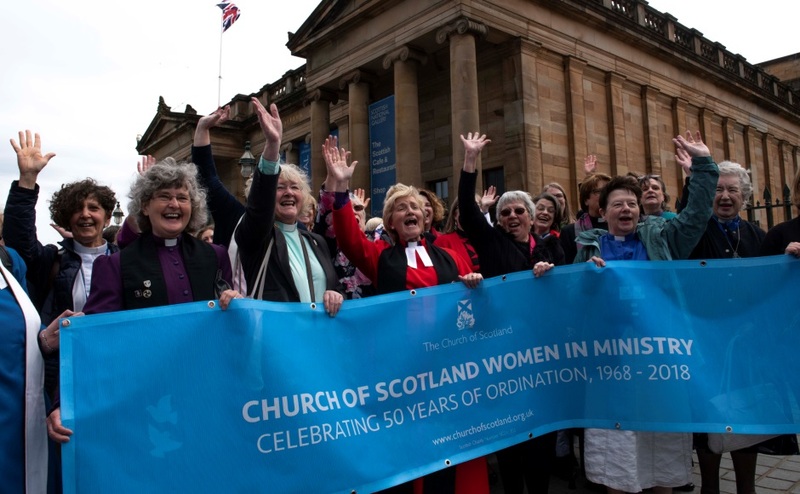 This tradition is different to the Church of Scotland who allow females to become ministers. They accept that it has predominantly been males who have taken leadership roles in the church in the past but they believe this is a reflection of a patriarchal society and not the wishes of God. They instead, allow women to be ministers believing that God wants everyone to be treated and measured by their spirituality rather than their gender. How might this affect morality in the church? Tradition also presents itself in the practise of Holy Communion (Mass, Last Supper, Eucharist, etc.) 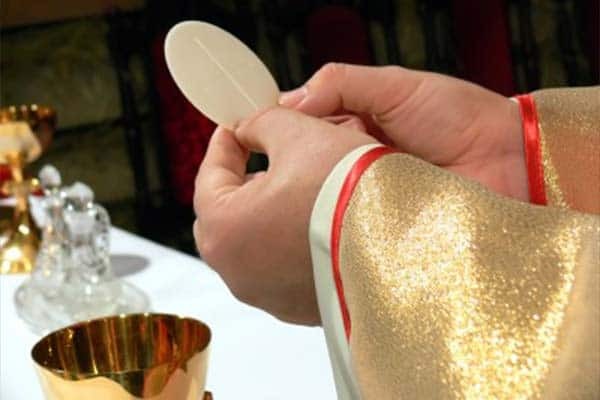 The Roman Catholic Church has Mass weekly and believe that the body and blood of Christ is present, the bread literally becomes the flesh of Christ and the Wine literally is his blood, this means that it cannot be disposed of and must be eaten/ drunk. In the Church of Scotland, Holy Communion is taken less frequently and the bread and wine are to remember the sacrifice of Jesus and carry symbolic weight. In the Society of Friends there is no specific ritual, instead the congregation gathers together to enjoy a meal to remind themselves of God’s love. These different practices follow different traditions. And finally, at key points throughout history the church has argued about how it should interpret a teaching or follow a practice. Sometimes these disagreements have been so dividing that it actually splits the church into different denominations. These churches start their own tradition based on what they think is the right thing to do. 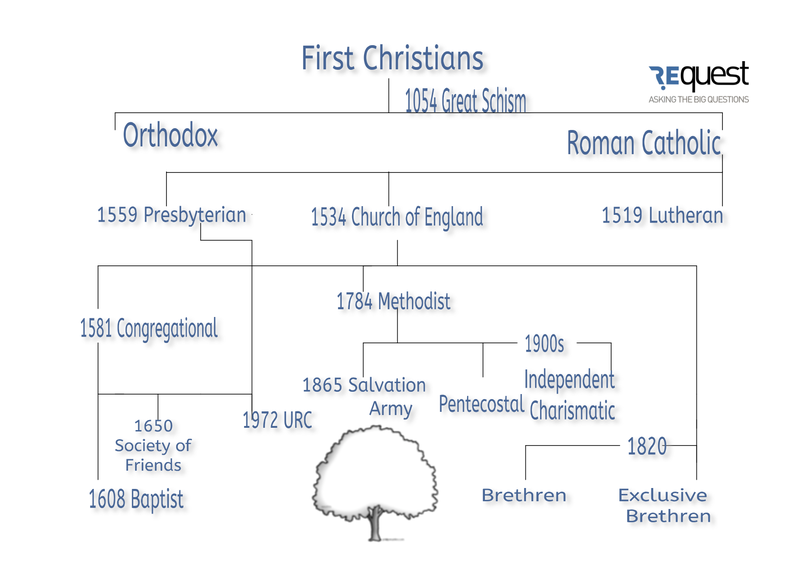 For example, The Church of Scotland was founded after a break from the Roman Catholic Church as they wanted to follow Calvinist teachings and distance themselves from the Pope. This break in 1560 was marked by social change, most notably the Scottish Reformation. The history of the church and its continuance of practices and rituals from earlier times (e.g. the Apostolic line) and the adherence to such practices. In Islam, Shariah Law is a strong ‘rule of law’ that has been held as tradition for Muslims. If a Muslim citizen commits a wrong doing, he is judged according to Islamic law. So morally, through tradition of this Shariah Law, Muslims believe that they will be punished for not upholding God’s will and doing immoral acts. Ihmam’s lead Islamic worship in Mosques for Muslims. In their teachings and readings from the Qur’an, they display traditions in Islam for Muslims to follow. Muslims visit the Mosque regularly so the Ihmam and traditions they show in leading worship is integral to Muslim learning and guidance on Allah’s will. The Life of Muhammad story in itself shows guidance through tradition to Muslims on how to live their lives, because they believe that it is Allah’s will that they live a good life devoted to Him and all that He wants them to do in life, just as Muhammad did. Muhammad led a good life by example that Muslims should follow today. Higher – You should be able to describe the 3 ways in which tradition can impact on Christians and 3 ways Tradition can impact on Muslims.